From the recent growth of cities like Portland, Auburn, and Lewiston, to the tireless worth ethic that has come to define the people of Maine, this is a great place to do business. 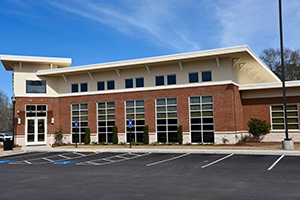 The wide selection of commercial real estate in Maine offers investors and business owners plenty of options – whether you're just getting started or looking to expand. The modern revival of central Maine towns and cities has created new office space for sale in Auburn/Lewiston, as well as in the state's largest city, Portland. Available commercial properties also include everything from restaurants to golf courses, and of course Maine multi-family homes and apartments. Save time in your commercial real estate search by registering here (it's free!). You'll be able to save your search criteria and your favorite properties. We'll also notify you by email whenever a new property matching your search comes on the market, so you'll be the first to know. Centrally located in Gray Village. This prominent location has road frontage on both Rt. 100/202 and Center Rd. and is located only a few hundred feet from Maine Turnpike exit 63. Property is high visibility! Public water services this property. Current structure has over 3000 square feet of space. Currently used as residential and commercial space. Commercial condo currently operating as a salon could be converted to office or retail. Desirable Knightville location near restaurants, shops, etc. 1 deeded parking spot, shared guest parking and street parking available. Amazing opportunity to become part of a great community, excellent location for this fully equipped deli/restaurant breakfast spot, ice cream, wine, take home meals.......the opportunities are endless. Bring your cooking skills and your imagination and make this place shine. What a great opportunity to run your own business. This property has been renovated, large retail/service area with several smaller service rooms or offices. Newer flooring , radiant heat and central air condition and great views of the lake. Property also has 2 1 Bedroom apartments on the upper floor, which have been renovated over the years for added income. Property also includes a large garage with storage above, this property is ready for a new owner, come take a look! This is an excellent commercial investment opportunity on 1.95 acres. This includes a 2 bedroom 1 bathroom cape with garage, 40x60 steel warehouse, and a 50x65 shop with a garage, office space, and a bathroom. Relocate your business here or invest in a great rental investment. A rare find! This fully occupied mixed use property consisting of 3 residential apartments and 1 commercial space with 5 tenants. Lots of character with a solid rental history and located near downtown shopping, restaurants and more. Nearby are the scenic Saccarappa Falls and Riverfront walkway. 3 BR home with garage and attached workshop. Property is zoned General Development and approved for MMJ caregiving grow business. The workshop features two flower rooms, a veg area, a cloning area and nursery designed for R&D or a small flower. All cultivation equipment is included in sale.Sale of business does not include name/brand. It does include 15 plants to flower with 30 plants in veg for next generation. Seller will consult on process from clone to harvest for first cycle and also advise on business formation (LLC, Licensing etc.) if needed. Seller will also consider end harvest for possible wholesale transaction if desired by both parties. Listed by Downeast Realty, Inc.
Well maintained commercial building with over 8500 Square feet of retail space and a 1 bedroom apartment, great for owner occupied or rental. Warehouse storage on lower level, overhead door for shipping and receiving. See MLS# 1408826 for Residential Listing - This is the perfect opportunity to live year round in the heart of Downtown Naples Causeway and enjoy the waterfront with your dock and shared beach on lovely Brandy Pond. The 2-family is in immaculate condition. The first floor can be used as a year round income rental unit, and the second floor boasts the owners quarters with 3 bedrooms, gorgeous views of the water from its own deck. (A third floor has potential to complete for additional use). A small office is also located on the first floor. This is Unit #14 of Bayview Cabins Condominiums. Enjoy this special property all 4 seasons. Only 30 minutes from the Portland Jetport. Commercial property with 3 bay garage, office space and road frontage. Great opportunity to own a commercial property in Rumford. Used as a car lot and auto repair for the last 35 years, the building has great visibility from Rt 2. There is 321 sqft with two office spaces and a half bath. Additionally the first floor has 1575 sqft of garage space with wooden floors. The basement has 1575 sqft to offer, great for storage. This location is the perfect spot to start or run your business and rent additional space for more income. The former Paint Pot is being marketed for sale. 10,000 square foot parcel in the flexible B2 ZONE ready for redevelopment. The 5,300 square foot building has a loading dock and plenty of parking. Thompson's Point redevelopment is just down the street, great visibility and easy access to the highway / jetport / bus. This is a great opportunity to purchase a great piece of property in a well established business park. This 8000SF building currently houses the Winners Circle Off Track Betting. This location has high visibility and high traffic count. Built in 2007 this is solid construction and easily adaptable for many uses. Plenty of parking with a fully paved parking lot and access points. Building is being sold vacant. Seller is open to offers for business currently in the building.